Some 60,000 Labor members began voting on Monday morning in the party’s primaries, deciding on the official candidate list for the 21st Knesset. The party is polling at a historic low, which could mean that it may end up with as few as four seats in the Knesset (it currently has 18 seats). Forty-four candidates are competing in the primaries, including 14 incumbent Knesset members. Each party running for the Knesset compiles a list of up 120 potential Knesset candidates. The number of representatives of each party who actually wind up serving in the Knesset is based on the percentage of the vote the party gets in a Knesset election. But parties that don’t reach the electoral threshold by winning at least 3.25 percent of the valid votes stay out of the Knesset. According to the latest Israel Hayom-i24NEWS poll from Friday, the party barely crosses the electoral threshold and is at risk of being eliminated entirely. Chairman Avi Gabbay has called on members to come out and vote, fearing a poor turnout would reflect badly on the party and reinforce the notion that it is in a free fall. 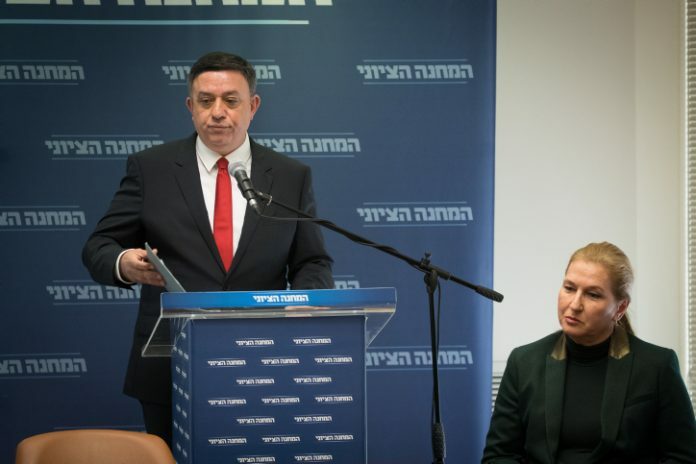 According to some in the party, after the primaries are over the efforts to depose Gabbay will intensify, as will the attempts to present a joint list with left-wing party Meretz Party. The deadline for finalizing the lists is Feb. 21.